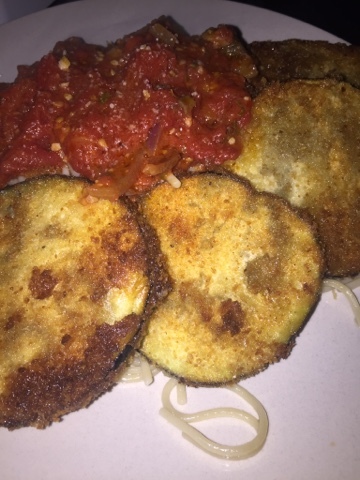 Eggplant and Chicken Parm are two of my favorite Italian dishes to cook. I slice the Eggplant and sprinkle with a little salt to take out the bitterness. I then dip in egg and breadcrumb then fry in olive oil. I serve with spaghetti and sauce, it's delicious!!!! !